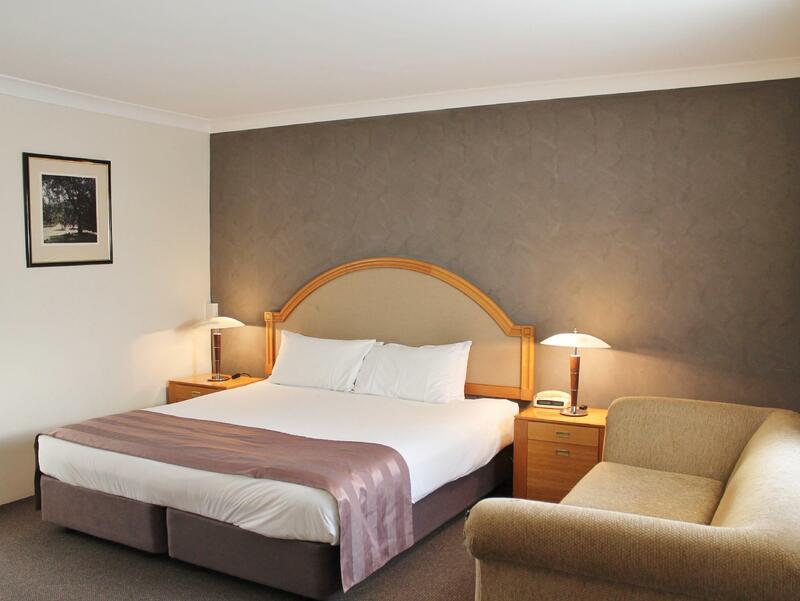 يقع فندق Quality Inn Dubbo International، المصمم ليناسب كل الضيوف سواء كانوا من رجال الأعمال أو السياح، في مكان ممتاز في أحد أكثر المناطق تفضيلاً في هذه المنطقة. لا يبعد الفندق كثيراً عن مركز المدينة، فهو يقع على بعد 2.0 km منها. في حين يستغرق الطريق منها إلى المطار حوالي 5 دقيقة. إن سهولة الوصول من الفندق إلى المعالم السياحية الشهيرة الكثيرة في المدينة هو استثنائي بحد ذاته. 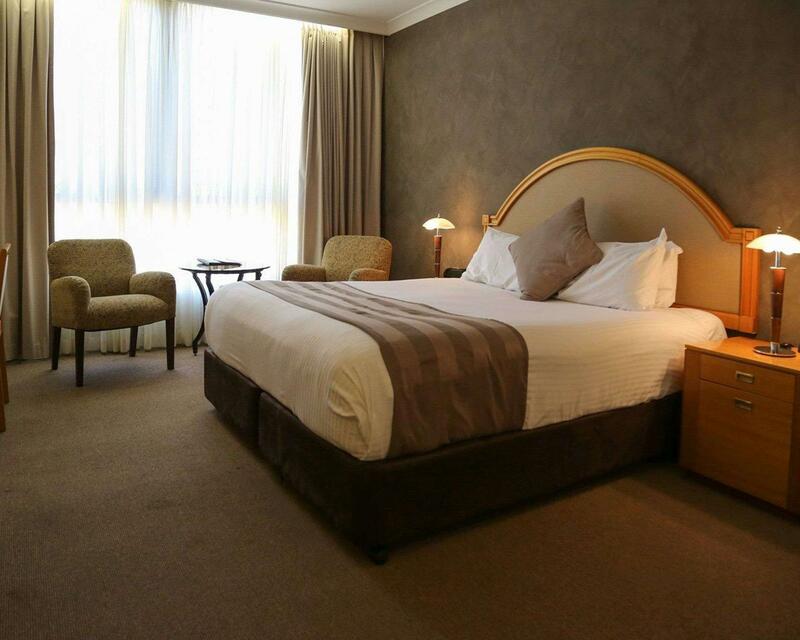 يعرف Choice Hotels بالمستوى الراقي لخدماته ولباقة موظفيه، وهذا ما ستجده في Quality Inn Dubbo International. لضمان راحة ضيوفه، يقدم الفندق الخدمات التالية: واي فاي مجاني في جميع الغرف, خدمة التنظيف يوميًا, مدفأة, مرافق مخصصة لذوي الاحتياجات الخاصة, تسجيل وصول/خروج سريع . تتضمن كل غرف النزلاء وسائل الراحة والتسلية المصممة خصيصاً لضمان الراحة القصوى للضيوف. يقدم الفندق مجموعة رائعة من الخدمات كمثل مركز للياقة البدنية, مسار جولف - ضمن 3 كم, حمام سباحة خارجي, ملعب تنس, حديقة، لجعل إقامتك تجربة لا تنسى. مهما كانت دواعي سفرك فإن Quality Inn Dubbo International هو خيار ممتاز لإقامتك في المدينة. great location, nice and quite, we went over easter so restaurant was close, but we could use that space all by us. really nice outdoor set up. our Suite was good and fitted with all needed stuff for small family. Nicely renovated rooms , clean and nice pool area. We just spent 2 nights at Inn and it was positioned perfectly if your visiting the zoo and intend riding your bikes around. Easy ride between the zoo and the Inn. The Inn is just down the road from the Dubbo Bowling club which is easier enough to walk to and the menu varied enough for the whole family. We booked the cheaper unrenovated king bed rooms and for the money we paid, the rooms were great. Overall they were slightly noisy, but then any hotel/motel located on the Newell Hwy will have noise issues. Even though we were on a major highway, road noise was not an issue. 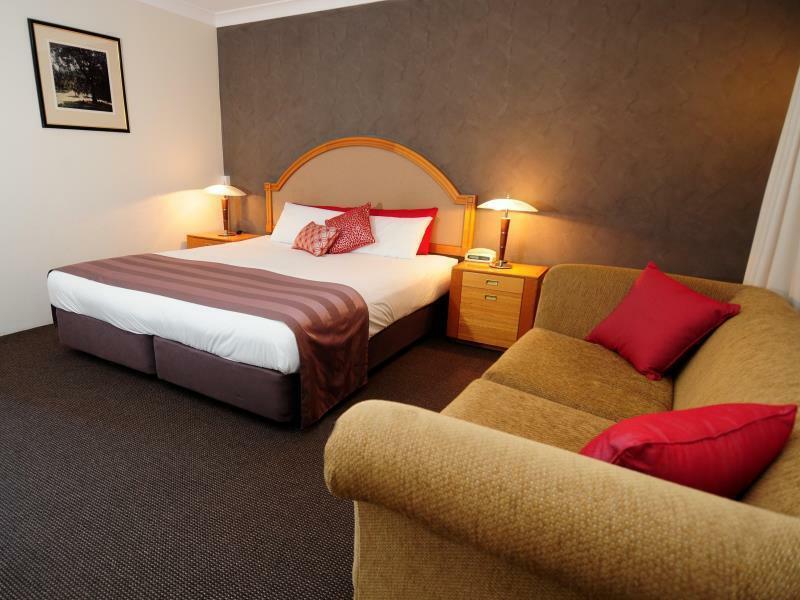 This was our second time staying at this hotel when in Dubbo for red hot summer. Preciously we stayed in rooms sleeping more people, but unfortunately these were unavailable (so we booked the budget rooms). Beds were comfortable and rooms are clean. The bathroom could do with a makeover, but for the price it was ok. Short drive into town over the bridge. Would stay again. 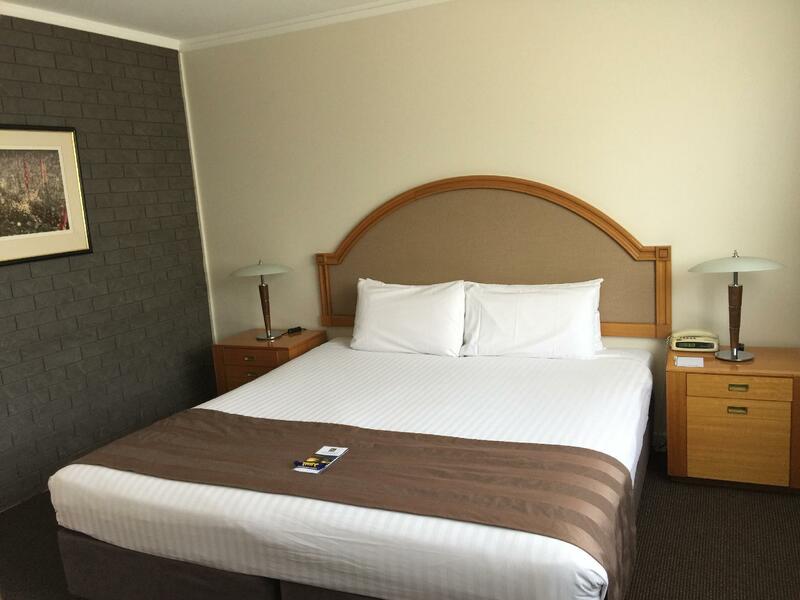 my stay at the quality inn dubbo, was very good the room was clean and tidy. very comftorble. the staff were very helpful and friendly and the fod was excellent. 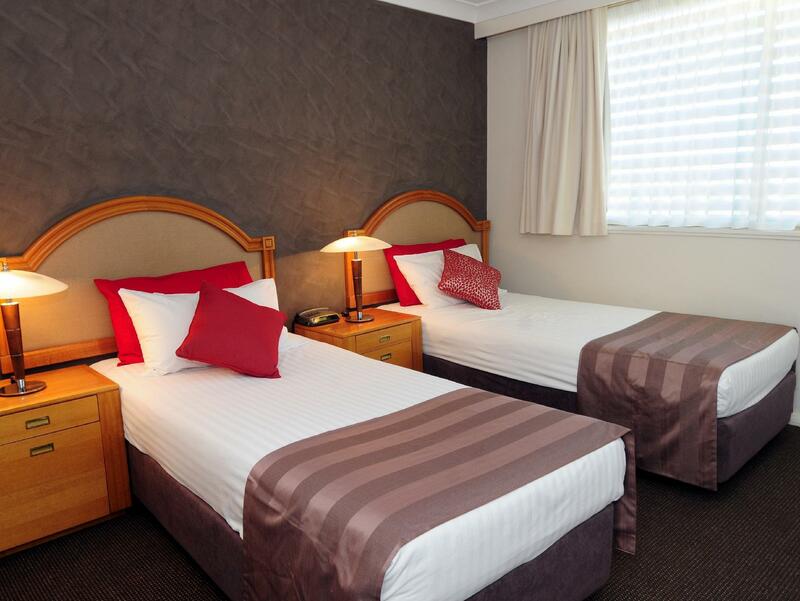 I will be recommending quality inn dubbo to my friends and family that are going out that way to stay there. The room that we booked has broken toilet and the bathroom is in a very old condition. Outdoor swimming pool doesn't have heater so the water is very cold even on a hot day. 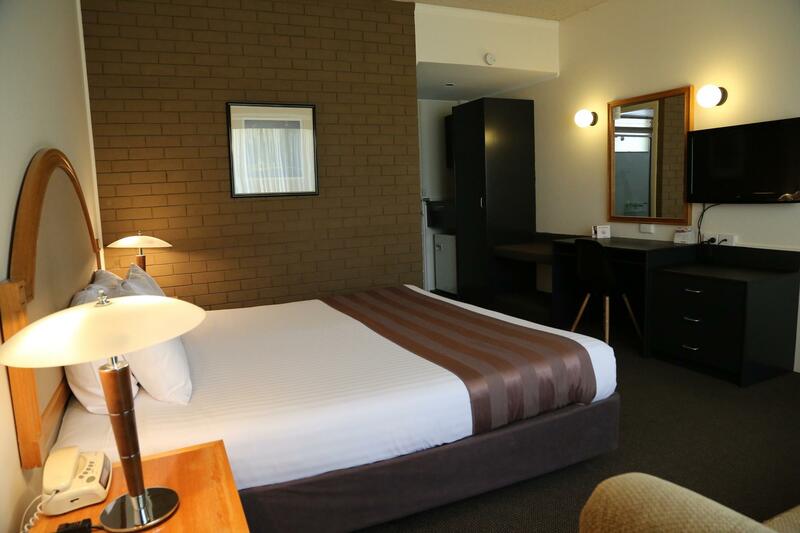 i was surprised at the cost, although i guess all hotels in dubbo are similarly over-expensive. the room was very comfortable but the shower went hot/cold too much. the tennis court is fun and it is a very easy walk to the golf club/course. the breakfast is too expensive and we avoided it after the first morning. 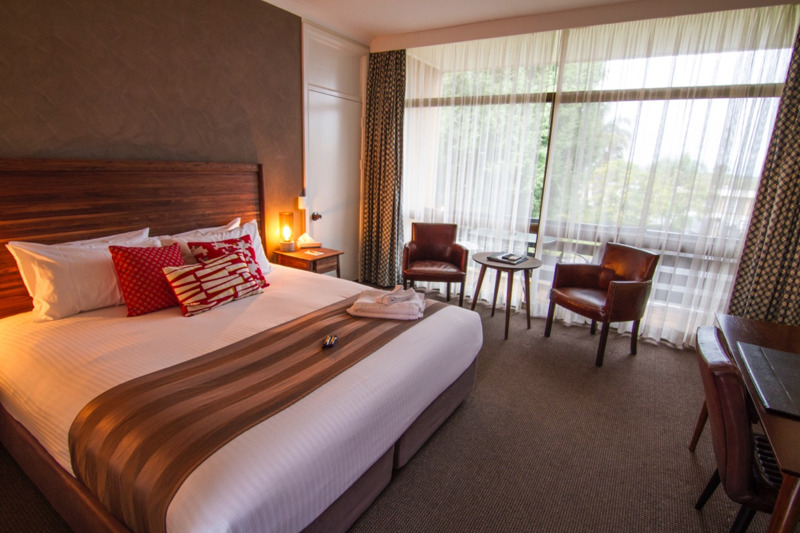 We had a great stay in the 2 room family room and the location was perfect for the zoo and dining/shopping. The only things wrong were the bad WIFI coverage. Free WIFI was advertised however it worked rarely which was disappointing. The lady at reception admitted it was sporadic and that "it is what it is." The air conditioner unit in the kids room was dusty and dirty. Our son suffers mild asthma so that was turned off and wasn't used. Everything else was as advertised and as expected. The buffet breakfast was plentiful and had a lot of variety. It really was an outstanding breakfast and kept us going until dinner. 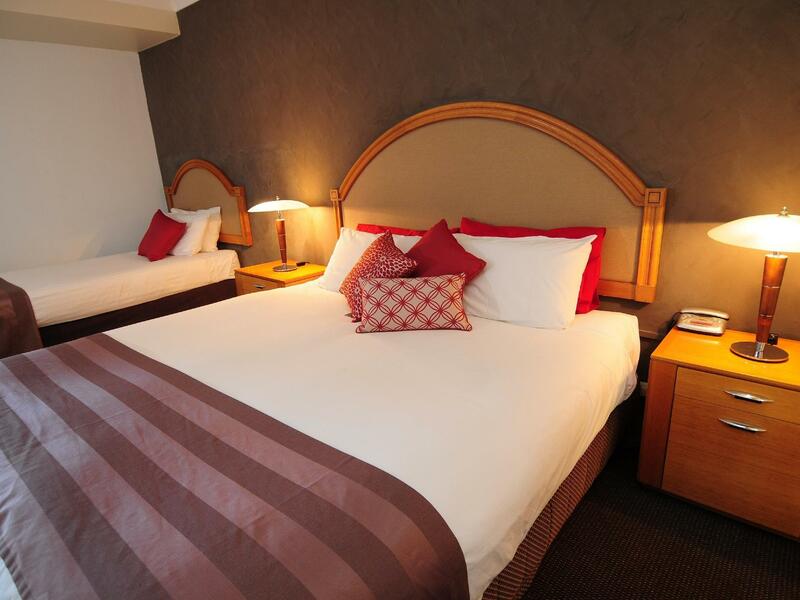 The beds were very comfortable as well which is definitely worth a mention. Could not supply sauce or gravy foe Gluten Free diet.